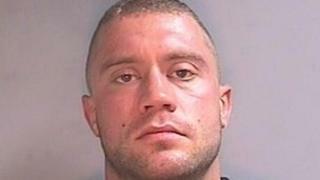 The trial of a man for the attempted murder of a woman in York has been abandoned after DNA evidence was lost. Michael Bennison, 28, was charged after a 27-year-old woman was stabbed on Healey Grove, Huntington last December. However, the Crown Prosecution Service said DNA evidence collected from a knife was "not available" when needed at Newcastle Crown Court. As a result, prosecutors accepted a guilty plea from Bennison to a charge of unlawful wounding. In a statement, the Crown Prosecution Service said it had "fully expected to have the forensic analysis of the knife on Wednesday so we would be able to pursue the charge of attempted murder". "Of course, we are disappointed to find that evidence is not available," it said. "On this basis, we accepted a guilty plea of unlawful wounding." Bennison was remanded in custody and is due to be sentenced on 31 October. North Yorkshire Police said they were confident the "full detail" of the DNA issue could be made public at the time of sentencing. Det Ch Supt Simon Mason said the case "had a number of complexities which were all taken into account by the prosecution team when accepting a plea of guilty for what was a very serious assault" rather than subjecting the victim to the "emotional stress and anxiety of giving evidence". He praised her courage and said without it Bennison would have been free to reoffend.